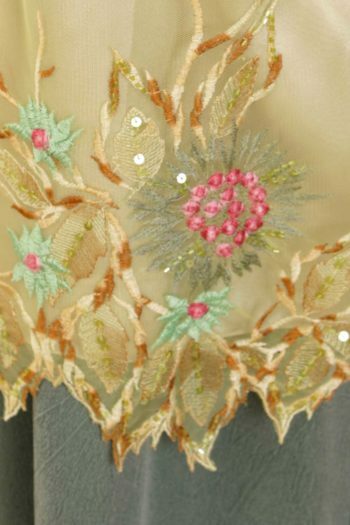 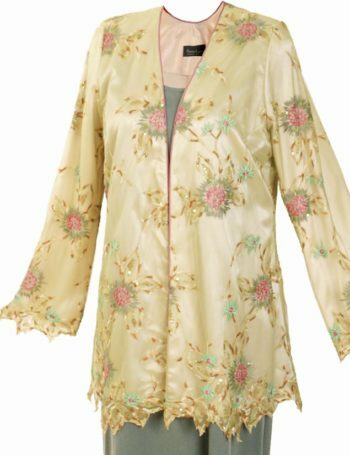 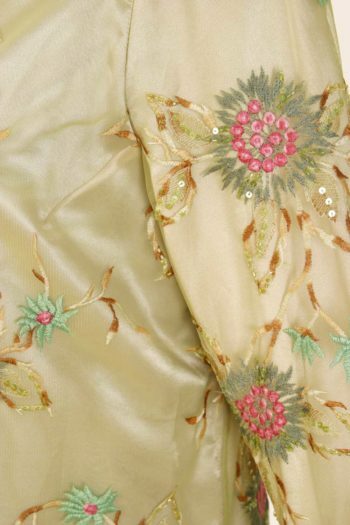 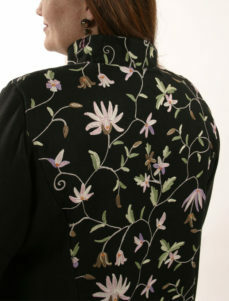 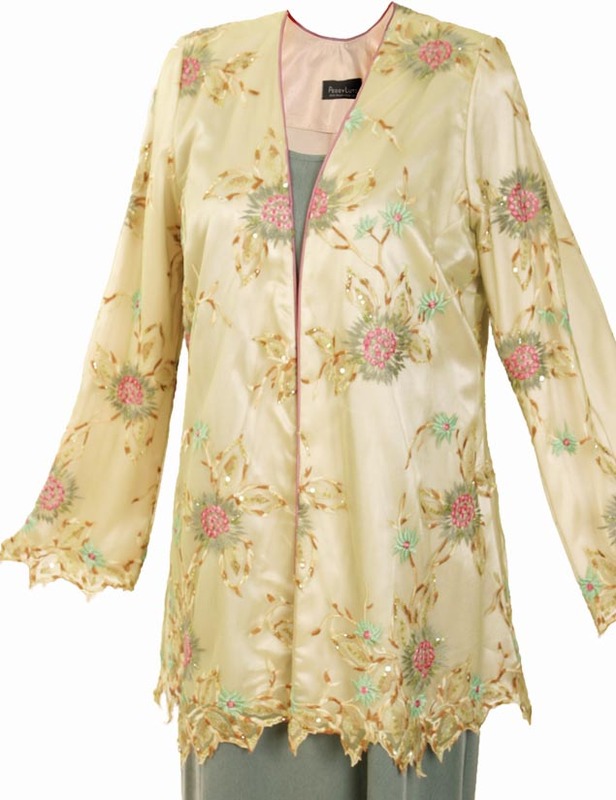 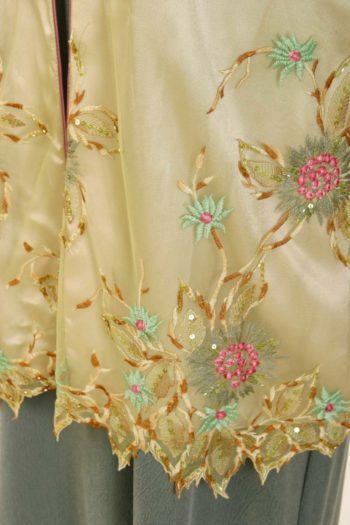 Plus Size Mother of Bride Gabi Jacket Beaded Lace Ecru Pink Green with exquisite detail: Soft, fresh celadon green is embroidered and beaded in sage, mint and pink for a unique leaf-edged mesh. 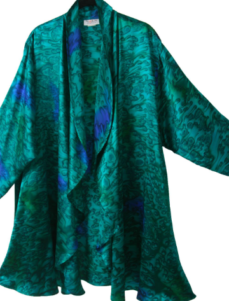 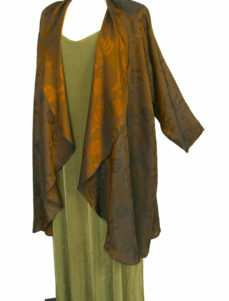 Shown over a sage brushed silk Tank Dress, but would also be stunning over over pink or celadon. 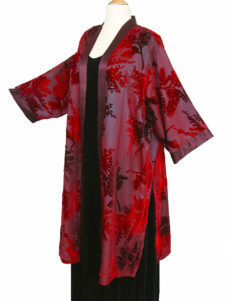 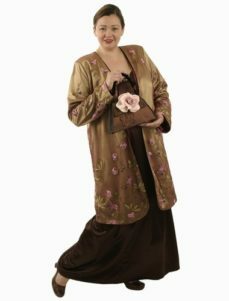 Perfect for a Plus-Size second time bride or mother of the bride, for a party, rehearsal dinner, or the wedding. 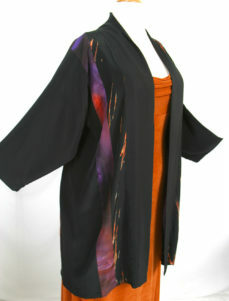 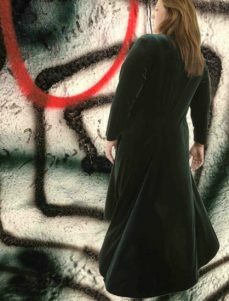 Your ensemble will be made to your measurements and customized to your preferences. 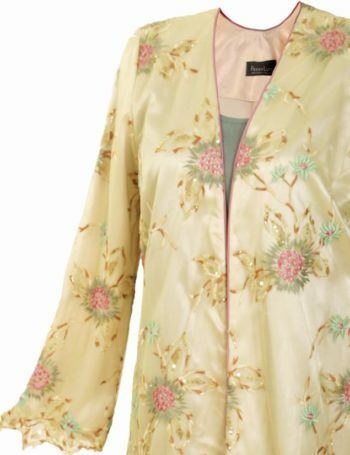 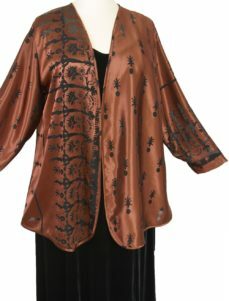 Be the first to review “Mother of Bride Gabi Jacket Beaded Lace Ecru Pink Sizes 14 – 32” Click here to cancel reply.